The Horror Writers Association (HWA) has released the Preliminary Ballot for the 2015 Bram Stoker Awards®. This is not the list of finalists, but the list which HWA members will choose among when they vote to determine the finalists. The final ballot will be revealed February 23. The Bram Stoker Award winners will be announced May 14 as part of the first annual StokerCon in Las Vegas. 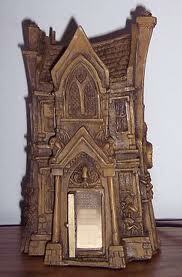 The Horror Writers Association has presented the Bram Stoker Awards since 1987. This entry was posted in Awards and tagged Bram Stoker Awards, Horror Writers Association, Ray Bradbury, StokerCon by Mike Glyer. Bookmark the permalink. How the hell did Scarlet Gospels deserve to be nominated for anything? Is there some conspiracy group I can join? Ugh. It was like the Star Wars prequels of the Hellraiser universe. I can’t help noticing a shortage of women, the most in any category being 4/10 in Poetry. Also the one woman among 12 in the Novel category, Leigh M. Lane, chose an androgynous pen name. I’m a real fan of the “Here’s Not Here” episode of The Walking Dead. It, along with Season 4’s episode “The Grove” are the two best episodes of the entire series. So far. Also: LOL at the title End Times at Ridgemont High.